We specialize in the futures and options markets, serving traders worldwide with a continuous information service of quotes, charts and news. We are also a storefront for trading tools, charts, publications, educational courses and other resources. We are privately-held and independent. INO.com started life in March 1995. 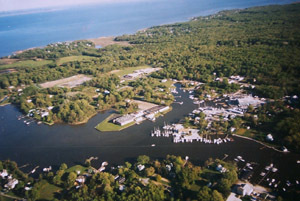 Headquarters are south of Annapolis, Maryland with satellite offices in Northern Virginia. In today's high technology world, we are a people first company. We believe that human communication is the most important form of interaction. The Help link appears on every page within our sites and is designed to allow you to quickly contact and get help from the right person in our company. If you are experiencing a problem or having difficulty finding something, please feel free to contact us. Above all, we want you to enjoy your visit to INO, and leave with a positive feeling that makes you want to come back regularly. If we can achieve this, then we will have played a small part to help make your life easier. In return, you will have helped us maintain our position as the #1 internet site for futures and options traders worldwide. We are here ready to serve and help you. Feel free to contact us.